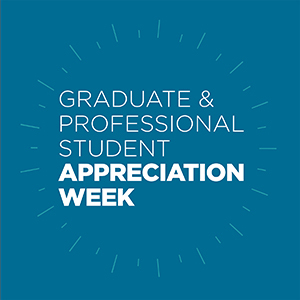 Graduate and Professional Student Appreciation Week for 2018 is coming up soon! UT organizations and units have teamed up with the Graduate Student Senate and the Graduate School to show our appreciation for all that our graduate students do. This year, there are many events both to celebrate graduate students and to help them in achieving their goals. These events stretch from April 2 until April 6, and include workshops, professional photo shoots, massages, baseball, and the finals of the Three Minute Thesis competition. We all hope you’ll come out and let us show you how much we value our graduate and professional students. Get the full schedule and learn more.